Side Jeep Safari and Rafting excursion promises to offer you some major adrenaline boosts while on holidays. 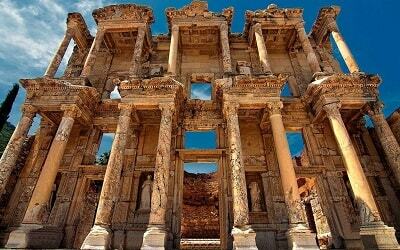 If you are searching for an alternative, adventurous, yet memorable experience, then this all in one, full day excursion is perfect. 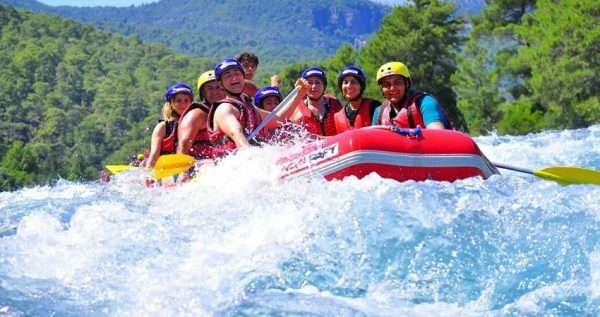 Experience an off-road safari in dusty and wet routes and find yourself thrown in a floating boat for the ultimate rafting experience in Köprüçay River. 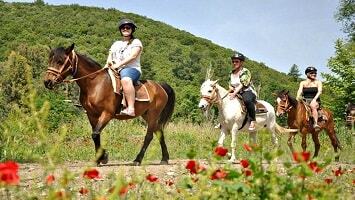 A unique adventure and beautiful landscapes is what you should expect from this amazing excursion. Side Jeep Safari and Rafting Tour starts in the morning, when 4×4 jeeps pick you up from your hotel. 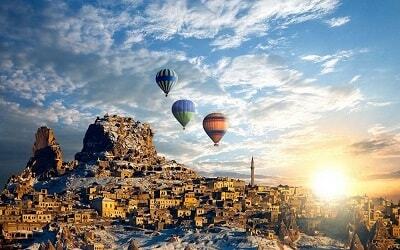 The cars will drive you through Taurus Mountains for a distance of 80Km. During your jeep safari route you will be able to observe several villages and admire the beauty of Turkish authentic village culture. A short break will be made at one of these beautiful villages. Along with your guide, you will visit some of the traditional houses to observe the lifestyle of the people. 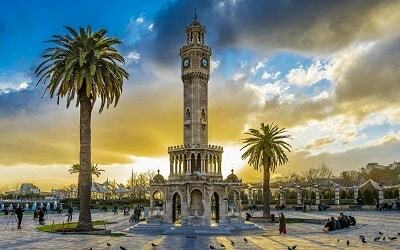 In addition, a visit at the village’s mosque is also scheduled. 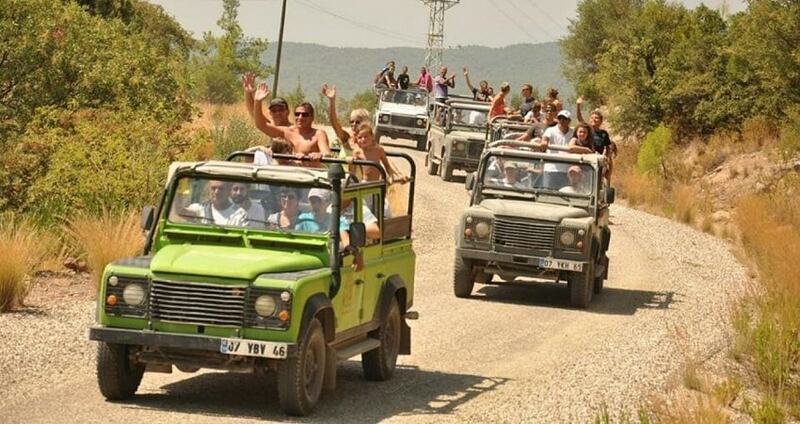 The safari jeeps continue their way towards Köprülü National Park. The safari experience will boost your adventure as the jeeps will be passing from some really dusty and wet off-road routes. Once you arrive at the rafting starting point, the second part of your exciting excursion begins. 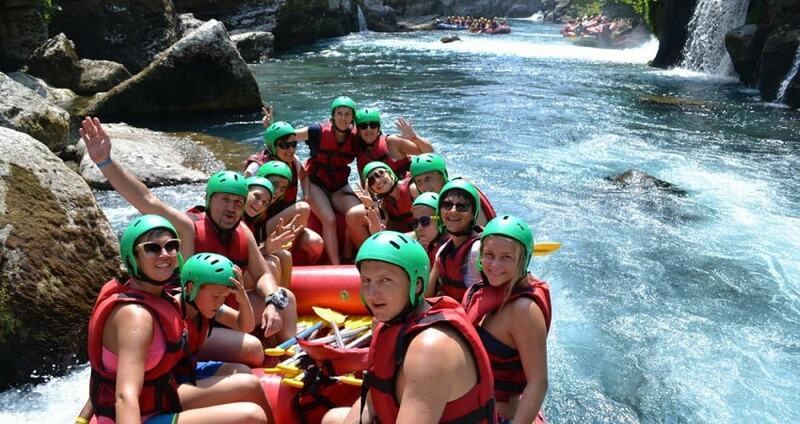 Experienced rafting instructors will provide a detailed brief regarding the safety equipment and general instructions. 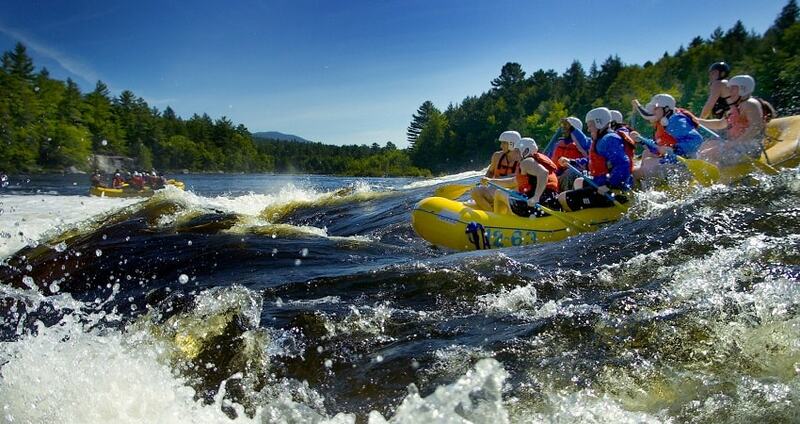 Therefore, if this is your first rafting experience, there is nothing to worry about. After the introduction, you will enter the water one by one in order to get used to it, something that is called “bodyrafting”. 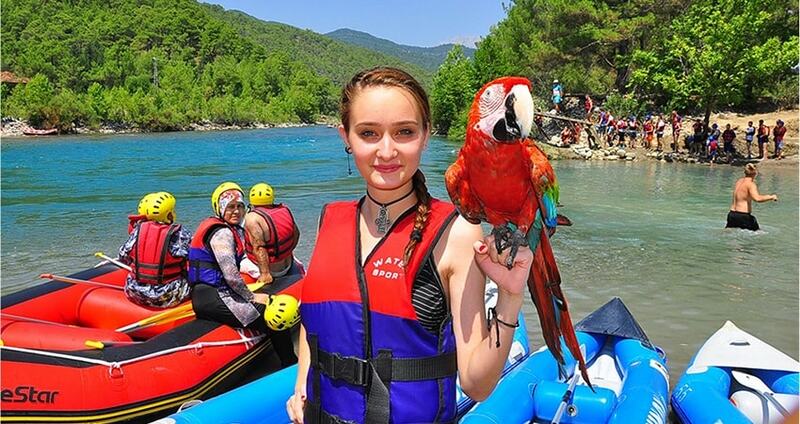 Once set and ready, the real adventure begins as you will be following a 14Km route in Köprülü Canyon. During the rafting route you will have the chance to fight with some treacherous waters that flow with an amazing speed into the river. Throughout the rafting route, breaks will be given in an effort to provide the necessary time for relaxation. 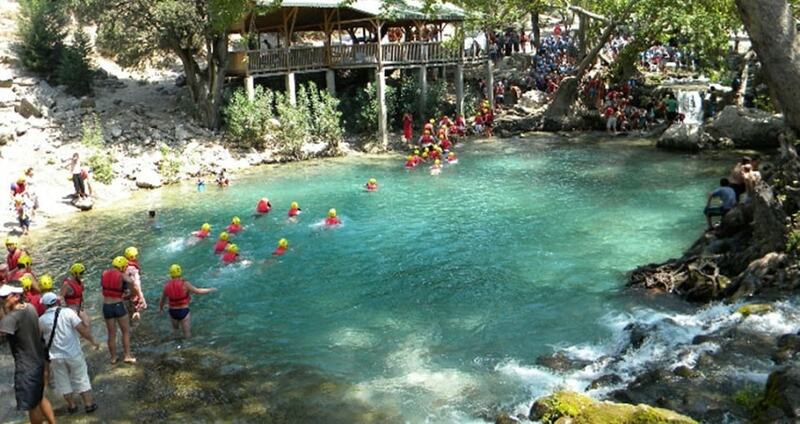 During the breaks you can swim into the river or simply enjoy the natural beauty of the surroundings. A lunch will be served in the middle of the route, at a restaurant situated in Köprülü canyon. There, you will have the opportunity to preview some of the excursion’s official photos and videos and purchase them at an extra cost. Rafting continues until you reach the finishing point, where a modern and comfortable shuttle will drive you back to your hotel. 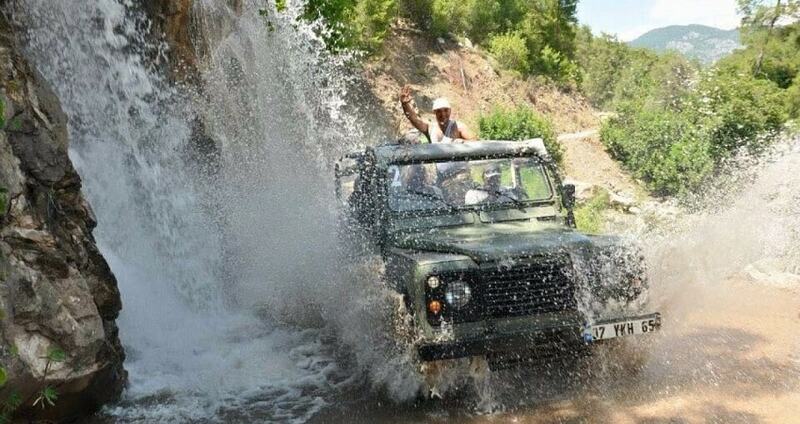 Side Jeep Safari and Rafting adventure will for sure be a long-lasting memory from your holidays in Side. 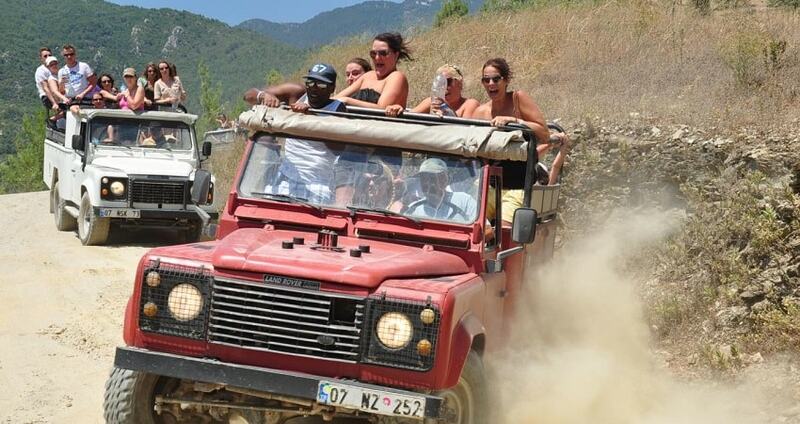 Side Jeep Safari and Rafting Tour is not suitable for guests with physical difficulties. 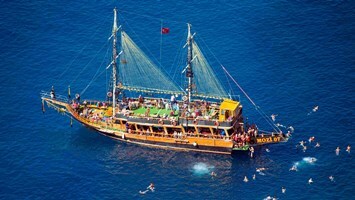 You can also check Side Blue Lagoon Boat Trip from here. Unfold the adventurous side of yourself by participating in this all-in-one experience. Side Jeep Safari and Rafting Tour, has everything you need to boost your adrenaline. From off-road safari to rafting, this excursion will make your vacations in Side unforgettable. 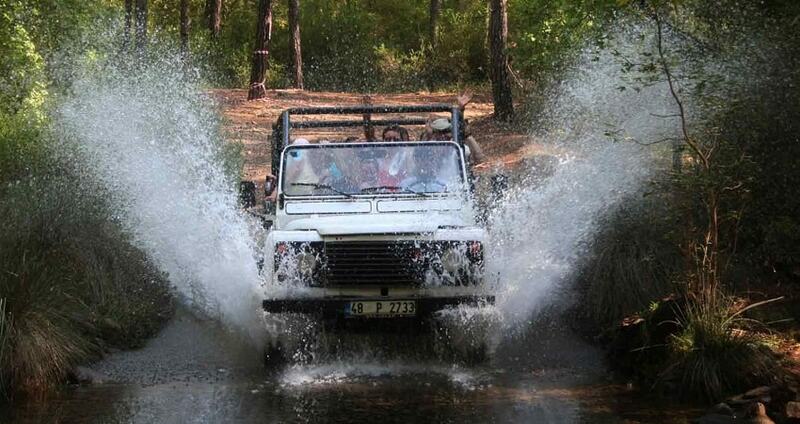 Side Jeep Safari and Rafting Excursion starts during the morning, where 4×4 Jeeps will pick you up from your hotel. The 4×4 Jeeps ensure that you are going to enjoy this experience at its maximum. The Jeep Safari starts from a village near Manavgat, and the route has a total distance of 80Km towards Köprülü Canyon. The route is an ideal trail for off-road experience. You will be passing through a forest on dusty and wet roads until you reach the Köprüçay River which is your destination. 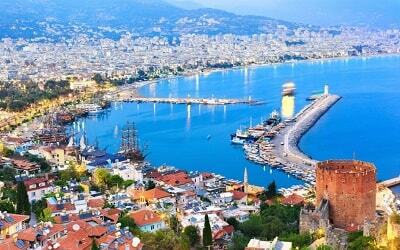 By the time you reach Köprüçay River, the second adventure of this excursion starts. At the rafting information center, you will meet your rafting instructors. The professional and experienced rafting instruction will provide a detailed brief regarding instructions. In addition, they will demonstrate how to use the equipment properly. If this is your first rafting experience there is nothing to worry about, since no prior experience is required. 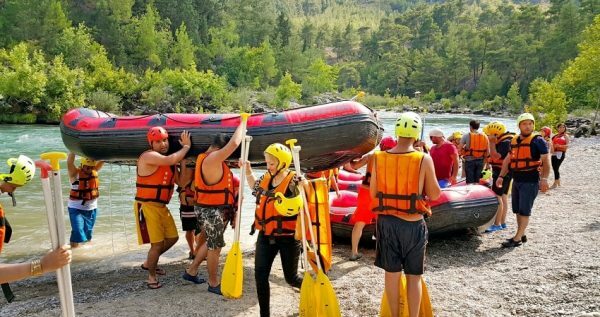 After the briefing, “bodyrafting” follows, which means that you will enter the water one by one in order to get used to it. Köprüçay River is characterized as the ideal river for rafting in Turkey. Along with your instructor, you will be following a 14Km route in the river. During the rafting route you will have the chance to fight with some treacherous waters that flow with an amazing speed into the river. Make sure to follow the instructions in an effort to enjoy the maximum of your rafting experience. In the middle of the 14Km distance of the rafting, a stop will be made for lunch. The restaurant is located at Köprülü canyon panorama and you will have the chance to enjoy a freshly made and tasty meal. Right after the lunch, you can preview the official photos and videos of the tour and you can purchase them at an extra cost. After the lunch break, rafting experience continues towards its destination. It is important to note that during the 14Km rafting experience, several breaks will be made. During the short breaks you can swim or explore the nature. For those who seek a more playful version, jumping from the trees is made easy in this area. Alternatively, you can just relax and enjoy the peaceful landscape. Once you reach the rafting finishing point, the 4×4 jeeps will be waiting for you. Side Jeep Safari and Rafting excursion ends by the time you reach your hotel, during the evening.